Jamaica will soon be exporting Jamaican mangoes to the United States of America. The Ministry of Agriculture is moving ahead to put in place the necessary export/import requirements to comply with the United States Department of Agriculture/Animal and Plant Health Inspection Service. Jamaica had originally gotten permission from the United States Department of Agriculture/Animal and Plant Health Inspection Service in September 2014 to export Mangoes to the US of A. The announcement was made by Acting Minister of Agriculture Derrick Kellier during the opening ceremony for the Ministry’s Plant Quarantine Division’s exporters’ forum on Tuesday, June 2nd, 2015 that was held at the Jamaica Pegasus Hotel in New Kingston. This is now possible thanks to the United States Department of Agriculture Pre-Clearance facility, which gives Jamaica the ability to process and export Mangoes and fifty-one (51) other fruits and vegetables to the United States of America. Back in September 2014, that shortlist was extended to include Jamaican mangoes, as well as callaloo, pineapple, strawberries, guineps, and breadfruit, which is also being grown under the National Fruit-Tree Crop Project. We had been originally slated to start exports in January 2015 but we had to satisfy certain requirements set by the United States Department of Agriculture/Animal and Plant Health Inspection Service. So how does this United States Department of Agriculture Pre-Clearance facility work? This pre-clearance facility lists fruits and vegetables that Jamaica produces that meet with the stringent standards of the US Animal and Plant Health Inspection Service, the division of the United States Department of Agriculture that sets the rules for what Jamaica can and cannot export to the US of A. Prior to getting permission back in September 2014, Jamaica had been banned from exporting to the USA for 30 years. This was due to the presence of the West Indian Fruit Fly (Anastrepha obliqua) and the Caribbean Fruit Fly (Anastrepha suspensa). 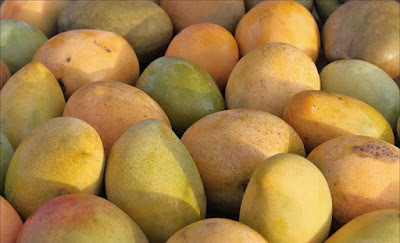 This time around, to reduce the risk of spreading this pest in the US of A, the Ministry of Agriculture has had to build a US$20 million Processing plant in order to process the Mangoes to make them fit for export. The larvae of these pests are deeply embedded in the Mango’s skin. So how profitable is the export of Mangoes to the US market? Very profitable, albeit their interest in Mangoes overall is shrinking. So in summary, we’re spending US$20 to go after a shrinking US$360 million to US$500 million American demand for Mangoes. So what’s rally holding the interest of Americans in the fruit department? America’s waning love for the Mango over the decade has to do with the rising love for Bananas, with the American market being the largest single consume of the yellow fruit. It’s convenient to eat and unlike Mangoes, isn’t prone to being soft or juicy, running all over your hands and leaving stains on your clothes. Bananas are the perfect snack fruit and farms in Latin America owned by American company Chiquita Banana are already supplying that demand. So basically, the Ministry of Agriculture has gotten permission to sell Jamaican mangoes to a market that’s’ slowly losing interest in Mangoes even as the rest of the world sees them a then as the next best thing to Apples, grapes or pears. Still, water baptism wouldn’t hurt our Mango exporting prospects now that we have access to the United States Department of Agriculture Pre-Clearance facility!